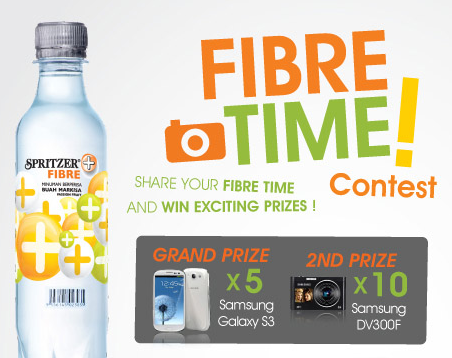 Share your photo with bottle(s) of Fibre. Upload to Spritzer's FB apps. Tell your Fibre Time story. Each photo must contain participant's face and Spritzer Fibre. Visit Spritzer FB fan page for more details. Tagging pictures on FB and Instagram can get you featured in U Mobile's music video!